These comments which are unmistakeably negative of the showing community set me off considering the effect of showing and showing practices on goat health (both physical and mental) and welfare. I am not making any judgements as I have showed in the past and hope to again once I have a full time job and my goatlings have been kidded). What are your views on showing? Has the pursuit for the perfect confirmation and high yeilds created animals that are on a knife edge in terms of health; the slightest upset resulting in near fatal consequences or is David Mackenzie being harsh on the showing goat keeper? Its interesting to note that all of these passages do not feature in the 5th edition which was revised by Ruth Godwin, perhaps indicating a unease with David MacKenzies disapproval of the showing community? Right, I started typing a reply to this ages ago, and stopped halfway through, and the forum kicked me out, so I lost everything I had already typed! So here goes again. Its very interesting that the version that Ruth edited doesn't contain those bits, and yes I can only agree that it shows a dislike or unease of those comments. Probably which sits with the BGS in general as opposed to just Ruth personally. So, I think in part that by showing, we do push our goats, and they have changed from years ago. But, I also think that by breeding for more milk, and good condition that we have improved the UK herd. That said, I would keep my goats differently if I didn't show, and never intended to show. And should the "Survivors" issue ever come true (ie as in huge numbers of people get killed off by disease, nuclear war, zombies!?!?!) then I would keep my goats COMPLETELY differently. I would be looking for as hardy a goat as possible, that I use for meat/milk and skins. I certainly wouldn't keep a pure breed, as the AN's are just far to soft to survive in a really tough environment. A overfed kid with no rumen development would not win- rumen development is what makes kids grow and bulk out, and very often it is the biggest and best grown kid that does well, and that is not created by an animal with no rumen development. I also don't think this is necessarily true anymore- but it maybe was in the late seventies and eighties when he is talking about it. When we go to shows now, every exhibitor has lots of hay, haylage, lucerne, branches, grass etc etc with them. And to be honest, I think the different way in which we transport goats to shows now has affected this. In the late seventies and early eighties, people went to goat shows, in cars and vans. Not many had trailers, and many only took one vehicle- certainly in Scotland. That meant you simply wouldn't have as much room to take a lot of roughage with you. I know we went to shows at that time in just a transit van, and we would easily take at least 3/4 people with us as well as 2/3 milkers and a few youngstock. Now, we generally take a transit van and either a caravan (which the goats stuff get's transported in, or a trailer) or we sometimes take two vehicles, a transit van plus the caravan, and the 4 wheel drive plus trailer. Certainly we are showing a few more goats now, generally at least 3/4 milkers plus goatlings and kids, and sometimes an adult male as well. So there's some of my thoughts on things. I agree with you, especially about the survivors scenario. 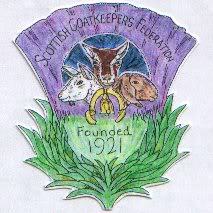 I suppose its the purpose for which you keep the goats that dictates the type you keep.......I imagine a commercial keeper would want the stocky, hardy animals you mentioned. Hi everyone , I agree with what you are saying and I think showing does improve goats as winning goats should be sound and have good confirmation and be not to thin or fat so the breeding for the healthy goat brings a productive goat with good longitvity.the modern goat can rear its own kids and have some mik to spare for us and be healthy and live a long life. Although there has to be a balance, in my experience of shows highest milk yield seems to be more important than basic soundess for example bent legs. Coming from a farming background I know for breeding animals bent legs, overshot jaw etc. animals are not used for breeding as it puts extra pressure on them and they do not perform aswell . For example a tup with bent legs has more pressure put on his legs and therefore increasing chance of lameness and unable to tup ewes. I would hate to think we could breed our lovely goats too far. I hope we avoid going down the holstein cow root and keep them as friesians. Many dairy cows based on the extreme holsteins can have lameness problems due to udder being to big to fit between cows legs and various other problems and don't last very long. A lot of dairy farmers are now crossing back to friesians and other breeds to get back to a healthy long living more multi purpose productive cow. (holstein crosses are useless for suckler beef breeding cows but freisian crosses are excellent). Nothing beats spring foliage when at its best but when its not you need to supplement and balance it with more concentrates to help provide all the nutrients the goat needs and ones it can't get as different areas of the country have different defiencys and foliage doesn,t grow all the year round here. I think the book is also wrong about sugar beet because as a waste product of our food industry it is very good for ruminants as it keeps their rumen filled up and healthy. It acts as a buffer to balance concentrates which is especially usefull in winter when theres not so much green stuff about. We are lucky in this modern day to have access to easy to feed forages such as sugar beet readigrass alalfa etc.to supplement their diet. If I didn't show I would just let my milkers run through till they ran out of milk and then put them in kid and also if I wanted more kids.You can't take everyone s advice and every book as gospel but you can pic out ideas to help your goats in your situation as we all have different facilitys available for our goats.